A squirrel’s life is never dull and Effie’s is no exception. Effie awakes to a new spring day and some news that a storm may be approaching her home. She seeks out information on the weather by talking to the many animals with which she shares the woods. She is surprised with the arrival of Simon, a strange black squirrel that recently lost his home from some wild weather. She listens to his tale and begins to find comfort in his companionship. Effie and Simon set off together to her home before the storm blows them away. They are able to survive the rough winds, hail, and lightning, but her home ends up completely destroyed. Now they must avoid any predators and travel through the forest in search for a new place to call home. This story invites the reader on a journey with a squirrel in danger of losing her home and her life, but finding love in the process. 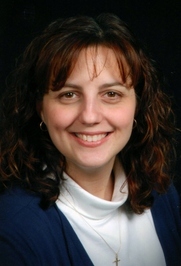 Angela T. Baron is the author and illustrator of the children's books A Tale of Two Squirrels (2013) and Squirrely Over Nuts (2010). With a BS in Zoology, she began writing for children, using nature as an outlet to teach them about various issues and entertain them at the same time. Now she has expanded to include young adults in her audience. She is a member of the Society of Children's Book Writers & Illustrators and also the creator of the I Otter Be® line of illustrations that are available through her website. She lives with her husband and two children in western New York. My Review: 5 stars Love it and highly recommend! Any animal lover would. When I saw this book available to read and review on Reading Alley, I immediately requested it. I love animals and books about animals are a plus for me to read. Squirrels are no exception. I always feed them in my backyard aside from all the other wildlife. Sometimes they’re a bit annoying, but I like feeding them just the same. A Tale of Two Squirrels didn’t disappoint. It’s a great book for children of all ages. I’m well over the age intended, but that didn’t diminish the fact that I truly enjoyed reading it. It’s full of action and all kinds of forest animals. There’s Major the big owl, an otter family, Mr. Nibbler the porcupine, different birds and more. Not just for children, any animal lover will enjoy this book. I did. The only drawback I saw was not enough illustrations. The book is well-written and contains beautifully sketched illustrations, but since it is a children’s book, I would have expected more illustrations. The pacing is steady and keeps you interested. 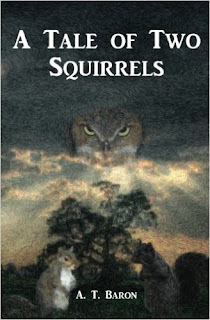 Fearing a storm headed her way, Effie asks her neighbors about it and that is when she encounters a male squirrel named Simon. His home was just destroyed from the last storm. When a big storm strikes the woods Effie lives in, the two squirrels seek shelter in the least likely place. The storm destroys her nest along with many other trees and homes of other animals living in the forest. As a result, the two squirrels must find a new home, together. This is a truly lovely book, which I won’t hesitate recommending to anyone else. Disclaimer: I received a review copy from Reading Alley in exchange for a fair and honest review. Thanks again for visiting abookreview4u! It's always a pleasure to meet other readers. In Shattered Lies: "Good and bad, it's All About Family." Available now from Black Opal Books and for sale at on-line retailers and indie booksellers.